ROMA… COMICS, GAMES & TANTO ALTRO! La prima parte di ROMICS 2015 sta per sbarcare a Roma! Dal 9 al 12 aprile (ci sarà un secondo appuntamento in ottobre) appassionati di fumetti, cosplays, animazione, games, musica e cinema da tutta Italia avranno ragione di riunirsi alla Fiera di Roma per un evento che raccoglie grandi matite e appuntamenti imperdibili. – e infine il ROMICS Kids & Junior, tutto dedicato a bambini e ragazzi. Romics 9-12 aprile 2015 sarà aperto dalle 10:00 alle 20.00. I biglietti saranno in vendita anche in forma di abbonamento a due, tre o tutte e quattro le giornate. Per indicazioni sul trasporto urbano disponibile per raggiungere la Fiera di Roma da Termini (autobus o treno urbano) non esitate a contattarci: Yes Hotel! Expo Milano 2015 is just about to begin, and while superb architectures are still being completed, 145 partecipant countries are looking forward to the opening celebrations on May 1, 2015. Until October 31 million visitors will be attending events, debates, tours, conferences, exhibitions on the theme of food and nutrition shaped according to each and every country’s taste. – WHERE: you have three options to purchase your ticket. – HOW MUCH: prices depend on the kind of event you wish to attend and on some variables that will give you right to discounts (i.e. age; being part of a family group, school; having diabilities etc.). As a general idea, tickets range from a minimum of 5€ for night events to more than 100€ for the seasonal pass. In between there are several options of course! And now shift to the next point…! Open Date –> for the entire day on a date of your choice between May 2 and October 31. Fixed Date–> for the entire day on a specific date between May 2 and October 31. Evening ticket –> just for entry starting at 19:00. Multi-day –> for two consecutive days, between May 2 and October 31. (It’s less expensive than purchasing two one-day tickets. Available either as a Fixed or Open option… see above). 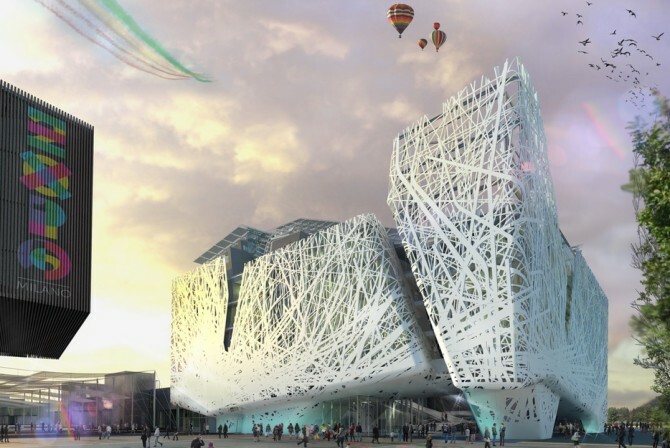 2-3 day Carnet –> to visit Expo Milano 2015 whenever you want. These are available for two or three open dates between May 2 and October 31. Expo Milano 2015 will be open Monday to Sunday 10am – 11pm! Rome, as well as the whole country, takes actively part to Expo Milano 2015 with several events: ask Yes Hotel for more information! Those who love cinema and those who are fond of Ireland have a meeting point… in Rome. Since 2007 indeed it is held in the Eternal City a movie festival dedicated exclusively to Irish film productions: the IrishFilmFesta. As we can read from the official manifesto of the event “Irish cinema only gained productive continuity starting from the eighties, and this is why it is still scarcely known. It hardly crosses Irish borders, and even when it does, it is often considered English or American. So far, the only film makers which managed to gain international popularity are Neil Jordan and Jim Sheridan. But Irish cinema generated many more talents, and in the last years is being characterized by a remarkable artistic variety, which needs to be exported”. 2015 edition will be taking place from March 26 to 29 at Casa del Cinema di Roma, from 5pm (3.30pm on the weekend). Entry is free, but there’s the chance to support IrishFilmFesta with a minimum donation of € 50, which guarantees a seat reserved for the whole duration of the event. The programme includes presentations and meetings with Irish guests (directors, actors, screenwriters and producers) as well as debates and special events. New films and old unedited classics will be shown. Screenings are in original version with subtitles. Casa del Cinema is in via Marcello Mastroianni 1, inside Villa Borghese: ask our staff at Yes Hotel for more info and directions! 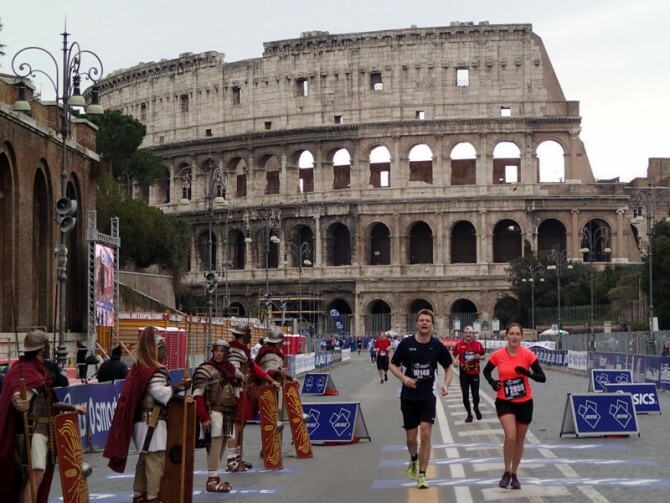 RUN TO ROME AND ENJOY A SUNDAY PLENTY OF BENEFITS! – ROME MARATHON AFTER PARTY: yes, there’ll be an after party! It’ll be held at Nur Bar, in Via del Teatro Valle 19 (in the heart of Rome). It’s of course on Sunday 22 March and you can enter from 6.30 pm till late at night. 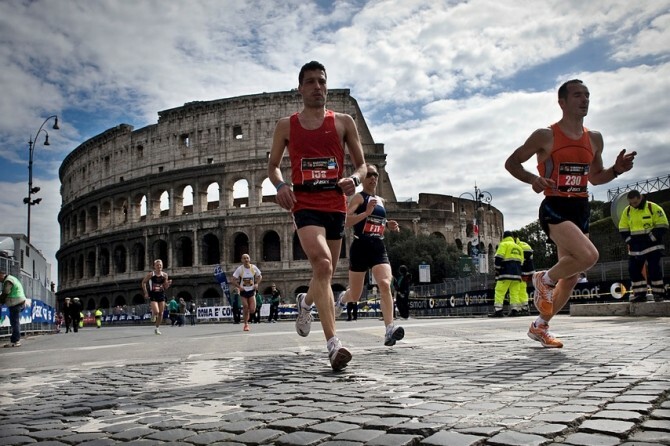 Admission: € 10,00 for Rome Marathon and RomaFun 5k partecipants (bring your medal or bib number!) & friends. Includes buffet and first drink. Free entry for children under 14. Food is served until 10:00 pm. – FREE TRANSPORT: underground, trams and buses will be free on the race day for all marathon and RomaFun partecipants: just keep your bib number visible. – SHOWER SERVICE: there’s the chance to take a shower for free after the marathon, as several facilities will be open to runners: Stadio Delle Terme Di Caracalla “Nando Martellini” Viale Guido Bacelli, 14 (near Metro B Circo Massimo) – timetable: 11.45 am – 5 pm Impianto Sportivo Comunale Uisp “Fulvio Bernardini” Viale dell’Acqua Marcia, 51 (near Metro B Ponte Mammolo) – timetable: 12 pm – 6 pm Due Ponti Sporting Club Via Dei Due Ponti, 48 – Timetable: 12 Pm – 6 Pm Forum Roma Sport Center Via Cornelia, 49 – timetable: 12 pm – 6 pm. Once again, just show your bib number at the entrance. – ART CARD: the Art Marathon Card gives the right to a discount on the cost of the entrance ticket. You can find the full list of museums and archaeological sites is on Rome’s museums website. Validity: March 19 – 24, 2015. You will find the card inside your bib envelope. Stay at Yes Hotel duting the Marathon weekend: we are at walking distance from the transport hub in the city center! ROME WEARS GREEN FOR ST. PATRICK! St. Patrick’s Day means big news this year: for the first time the Eternal City will be part of the event promoted by Tourism Ireland and the Ireland embassy, the Global Greening! On this special occasion indeed the Colosseum will wear green lights, starting from tonight March 16th at 7.30 pm. Other 86 famous landmarks in the world will homage the most renowned Irish festivity: Niagara Falls, the Christ the Redeemer’s statue in Rio de Janeiro, the Burj Al Arab hotel in Dubai, the London Eye and the Cibeles Fountain in Madrid only to name a few. But it’s tomorrow, March 17th, that both the religious and wordly celebrations will take place: at 10 am at St. Patrick’s Church (via Boncompagni 31, metro stop Barberini) Cardinal Prosper Grech will officiate the Mass for Lá Fhéile Pádraig, while in the late morning the IrishFilmFesta will be officially launched in the presence of Irish authorities. The Festival (come to the 8th edition) will take place from March 26th to 29th at Casa del Cinema in Villa Borghese (metro sto Flaminio) and will showcase several films, short films and documentaries all rigorously made in Ireland, a special part being dedicate to works in Irish Gaelic language. All day long both cheering Irish expats and Green Island lovers will be livening up the most popular pubs of the centre. To get more suggestions about where to go on your St. Patrick’s Day in the Eternal City just contact our staff at Yes Hotel! IDES OF MARCH: JULIUS CAESAR’S MURDER AMONG THE ARCHAEOLOGICAL RUINS! 15 March is known to history as the “Ides of March”, the day when Julius Caesar was killed. The spot where the general fell in 44 BC is putatively identifed with what is known today as Largo di Torre Argentina, a lovely square in the heart of Rome. This Sunday a few events will take place to remember a day which changed somehow the course of the Roman Republic. First of all guided tours: from 9.45am to 4.30pm qualified guides will lead people through the ruins of Largo Argentina’s archaeological area. The tours will be both in Italian and English and will take about 40 minutes. 3) Brutus and Mark Antony hold a funeral speech to honor Caesar at the Roman Forum (the speech is taken from Shakespeare’s “Julius Caesar”). For the time of each of the two 45-minute reenactments guided tours will be stopped. No admission fee is requested to enjoy the tours and the reenactments! Largo di Torre Argentina is at just 10 minutes bus journey from Termini station or walking distance from the main sights: ask our staff at Yes Hotel for more details! March Chagall and his personal experience in life and love will be soon on exhibit in Rome. A co-operation between the Eternal City and Jerusalem indeed is bringing to Italy 150 woks of art by the Jewish painter, who was born in Russia in 1887 and settled down in France, where he died in 1985. The whole exhibition is about the strong relationship between Chagall and Bella Rosenfeld, who was not only his wife but also his artistic muse. All the paintings, drawings and prints that visitors will have the chance to admire from March 16 to July 26 are reflections of the artist’s experience and cultural background. Deeply rooted in him is the Jewish culture, which is embodied by basically ever-present characters in his paintings: the goat, an allegory of hope and confidence; the hut, reminiscent of the celebration of the feast after the Exodus; the donkey, tied to the different moments of the Bible; the fiddler figure who uses to attend the major Jewish religious holidays. “Marc Chagall. Love and life” is goint to be at Chiostro del Bramante, at short walking distance from Piazza Navona. It will be open on a daily base: from Monday to Friday 10am – 8 pm; Saturday and Sunday 10am – 9 pm. Tickets: maximum € 13. Don’t hesitate to contact us at Yes Hotel should you be interested in more info about current exhibitions in Rome! From now until June 21st, Scuderie del Quirinale (the prestigious building opposite to the abode of the President of the Republic) host a drizzling new exhibition dedicated to the works of Henri Matisse. Common ground of the paintings on display is the characteristic arabesque motif which is part of a number of Matisse’s works of art, the fascination for geometric designs and graphic undulations deriving from the encounter the author had with the Oriental culture during his journeys, as well as from the International lively milieu of 19th-20th century France. Paintings have come to Rome from some of the major museums in the world, such as Tate, MET, MoMa, Puškin, Ermitage, Pompidou, Orangerie, Philadelphia, Washington. Ticktes range from € 6 to € 12. Opening time: Sunday to Thursday 10:00am to 8:00pm; Friday and Saturday 10:00am to 10:30pm. Scuderie del Quirinale are easily connected by bus to Termini station: ask our staff at Yes Hotel for directions! “Cibo Americano 2.0: Uniti per nutrire il Pianeta”, questo il nome della struttura ideata dal prestigioso studio Biber di New York quale padiglione degli USA all’Expo Milano 2015 (1 maggio – 31 ottobre 2015). Si tratterà di un edificio all’interno del quale i visitatori esploreranno il ruolo degli Stati Uniti nella produzione alimentare tanto in passato quanto oggi, non solo dal punto di vista prettamente nutrizionale, ma anche culturale, sociale e imprenditoriale. L’edificio, dedicato particolarmente alla storia della produzione agricola nel Paese, sarà caratterizzato da un’area da cui si otterrà un raccolto tutti i giorni. La struttura è completamente eco-sostenibile, e fra gli altri elementi include una passerella in legno proveniente dal lungomare di Coney Island, un’imponente video-installazione, aree espositive interattive, una terrazza panoramica, spazi per VIP e per la vendita al dettaglio. Per ulteriori informazioni consultate il sito ufficiale dell’evento, e non esitate a rivolgervi al nostro staff presso Yes Hotel: Roma e Milano, infatti, sono associate nell’organizzazione di una serie di eventi nel quadro di Expo Milano 2015! MARATONA DI ROMA: PRONTI, PARTENZA, VIA! Con oggi manca ufficialmente meno di un mese alla Maratona di Roma, l’evento di fama internazionale che, dato il numero di partecipanti, è considerato la manifestazione sportiva più grande d’Italia. La data è ormai nota: il 22 marzo, la prima domenica di primavera. E mentre i preparativi fervono sempre di più, vi ricordiamo qui di seguito alcuni dettagli importanti. Chi desideri partecipare sappia che… è ancora in tempo! – il Villaggio della RomaFun attenderà invece i partecipanti al termine della competizione: si tratterà di uno spazio di ristoro, giochi e altri mini-eventi organizzati da diverse associazioni. Yes Hotel sarà lieto di fornirvi ulteriori informazioni su questa grande festa internazionale che si terrà nella Capitale all’inizio della primavera!